I got to see Kimly perform once, and I was so excited about her performance, that I bought her CD. She was very cute, very energetic. My favorite song was “Good Evening”. This is the only video I can find of her performing, but when I saw her perform, she was way more energetic, jumping around the stage and making jokes. I got to talk to her afterwards and she was a sweetheart. I hesitated posting her on this blog, only because she doesn’t have high quality recordings. The EP that I bought wasn’t unfortunately a great recording. I thought she was much better live, more energetic and louder. I felt the recording lacked back-up vocals and the right instrumentation. Kimly definitely has a different energy and potential, she needs the backing of a good manager or record label to push her into the right place. I hope she continues singing, because I liked her a lot, she just needs the right recordings and professional help to send her into the limelight. 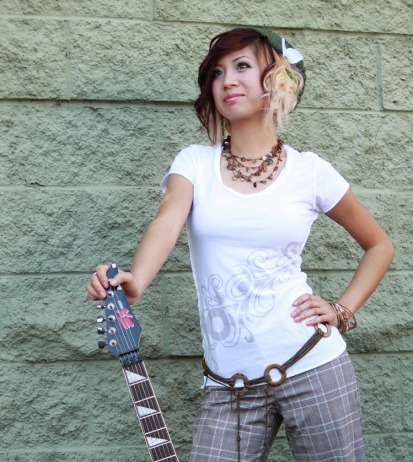 Check out her website here: http://www.kimlymusic.com/. I’ll definitely heed your recommendation, young woman!